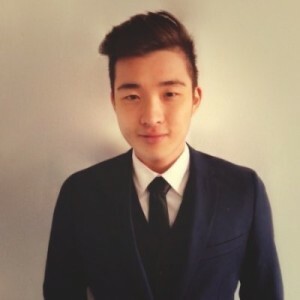 Before completing the International Master in Marketing at EADA, Taiwanese student Ko-Chien Wu received a Bachelor’s in International Business and gained experience interning in sales. After a year in Barcelona, we asked Ko what the city meant to him. I love the people here in Barcelona – they are friendly and kind. In Taiwan, people seldom smile or greet strangers. I am not saying that Taiwanese people are unfriendly, but they are shy and afraid to talk to strangers. For example, when you go into a supermarket or shop in Barcelona, someone usually asks you “Qué tal?” with a big smile. After one year in Barcelona, I have met so many new people and made some good friends. Another thing that I enjoyed in Barcelona is the food. Not only can you find traditional Spanish cuisine, but all types of food from all over the world. Personally, my favourite is Spanish cuisine like patatas bravas, tapas, jamón, and paella. Spanish food has been an amazing discovery for me; before coming to Barcelona, I didn’t know much about the local food. I enjoy the Spanish lifestyle as well. When the weather is nice, people often go to beach or just find a really nice terrace to have a beer or a glass of cava – a typical Catalan drink similar to champagne. That’s the kind of thing I’ve been doing all year with my classmates. Barcelona is very convenient – in half an hour I could be sunbathing or swimming on the beach. Moreover, there was never a shortage of nighttime activities. Barcelona’s strategic location in Europe makes travel to anywhere easy –in Spain or throughout Europe– and flights are economical and direct. During my year in Barcelona, I have visited Germany, England, Italy and the Netherlands, to name just a few places. I have enjoyed my time in Barcelona very much. The longer I live here, the more reluctant I am to leave this amazing, beautiful city. I really appreciate the views from the international perspective, especially those from outside of the EU. I would love to see something from an SK or Japanese students!